Twenty NSW-based artists and creatives have been selected to receive prestigious 2018/19 Create NSW Fellowships, sharing over $375,000 in funding to undertake self-directed professional development programs and career advancement across the State. Eleven recipients will share $303,276 in funding to enable new Creative Development Fellowships, which provide up to $30,000 per recipient for early to mid-career practitioners working across any artform or cultural practice who are seeking to build their leadership in their field. 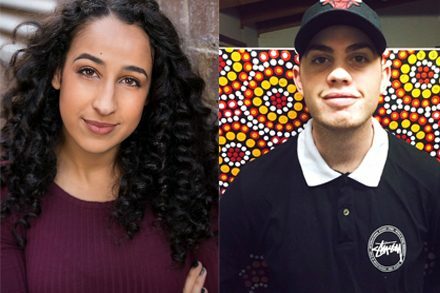 Nine recipients have been selected to share a further $73,650 for Young Creative Leaders Fellowships, which support emerging young leaders in NSW between the ages 18-25 working across any artform or cultural practice. This category offers funding of up to $10,000 per recipient, with this year’s Fellows also benefitting from a wider scope that supported applicants from all areas of the State. Executive Director for Create Investment and Engagement, Elizabeth W. Scott said, “I’m proud that our range of Fellowship opportunities continues to provide support for artists and creatives across all stages of their careers, and now has a wider geographic reach across the State. “This year’s recipients join an incredible list of past Fellows including Jonathan Jones, Andrea James, Khaled Sabsabi and Cathy Craigie amongst many others. Advanced Professional Development Program in the EU, UK & Arab World. Vyvienne will reengage with four organisations that she has previously engaged with, to further assist in her journey of personal and professional growth through advanced development opportunities. Host organisations include: Shubbak Festival – London, UK, Collectif Kahraba – Hammana, Lebanon, New Theatre Institute of Latvia – Riga, Latvia and the Community Music Activities Commission (CMA) – Helsinki, Finland. Nick’s fellowship program involves 12 months of activity designed to develop his expertise as both a playwright and director of new writing through direct practice, extended research and deepening collaborations. His program will involve an international residency, two new work intensives, one mentorship and three partnerships with leading Western Sydney arts organisations. Ghenoa’s fellowship will include creative development of and mentorship for her newest dance theatre work Usar’s Malungoka. This will include cultural and practice mentorship from Force Majeure Artistic Director Danielle Micich, and Ilbijerri Theatre Company Artistic Director Rachael Maza. As a trained Theatre Director with disability involved in advocacy activities on behalf of fellow artists with neuro-diverse issues, Daniel will build on his initial research into UK Access Departments in Theatre and performance organisations by undertaking visits and interviews, as well as interviews with neuro-diverse disability artists about what activities have assisted their careers. Jeremy’s 12-month creative development program will include a 12-week residency in Berlin, attendance at Berlin Art week and the ‘push.conference’ in Munich, plus online skills development courses and collaborations. Tamlyn will undertake a residency in Melbourne to develop new and existing solo work, with guidance from three industry professionals to upgrade her skills in live performance, songwriting, music technology, and promotion/business. The program will involve studio time in which she will ‘demo’ 10-12 songs and take one song to completion, to be released according to an effective promotional strategy. Randa aims to develop her practice and contribute to the expansion of Australia’s Culturally and Linguistically Diverse narratives on stage by continuing her study of physical theatre at the prestigious École Philippe Gaulier theatre school in France and undertaking two theatre-making residencies (in Lebanon and Spain) hosted by Hammana Artist House. Ju will undertake a 12-month long research and experimental project in Sydney, Taipei and Jingdezhen, China, culminating in a solo museum exhibition at the New Taipei City Yingge Ceramics Museum. Dr Smith will be undertaking a broad range of professional development including being mentored and participating in classes and training opportunities in Australia and overseas. Elyssa’s professional and skills development program will include a mentorship with Sound Designer Nigel Christensen; experimentation and development of new work for a solo exhibition at the Shoalhaven Regional Gallery; research in collaboration with Sub-Structured Loss Centre London + AIR as well as skills and knowledge development via a series of short courses in Sydney and London. Emele will undertake a program of professional development through artist residencies, skills development and mentorship in the field of live performance and theatre over the course of 12 months in Australia, Fiji and New Zealand. Daniel will undertake professional development training in VR at Academy Xi and stage an interactive Virtual Reality (VR) Art Exhibition. Ang’s professional development program will see her develop a new play with mentorship and support from Australian Theatre for Young People, involving a commission and subsequent ongoing development, dramaturgy, workshops, and the eventual reading of a completed play. Bernadette’s creative development program will consist of two secondments and an internship. She will then apply her newfound knowledge on the creation of an interdisciplinary verbatim piece titled Middle Where?, which will explore the real experiences and challenges facing Arabic-Australian women living in Western Sydney. Ciaran will undertake an extended program of professional development for composition work in the field of ‘biomusic’. His program will involve collaboration with scientists, a mentorship and a residency as a means of generating meaningful outcomes for his future career, gaining music specific knowledge and a more precise creative direction. Joanna has been offered a mentorship with female arts organisation The House That Dan Built. Her mentorship will involve weekly coaching and use of The Yellow Umbrella venue. Gillian will participate in an exhibition and residency at the Sean Gallery in Hong Kong before completing a residency at the Sapporo Tenjinyama Art Studio in Japan. These activities will follow the graduation from a Bachelor of Fine Arts (Honours) completed at the Sydney College of the Arts. Zachary will develop his skills as a young NSW based dance artist by connecting with multidisciplinary organisations, engaging with the Multicultural Youth Network (NSW) and being mentored by acclaimed Australian choreographers Gavin Webber and Narelle Benjamin. He will also collaborate with emerging dancers to create movement with an intention to develop a live performance. Joshua will implement ten art workshops at all three youth centres (30 in total) in Walgett, with art produced showcased at significant community events throughout the Shire. It is envisaged this initiative will unearth many young talented artists and form a self-sustaining local indigenous arts group. Victoria’s proposed program will include composition lessons from previous teachers, further musical mentorship and see her return to performance lessons in percussion and conducting as well as visual arts and multidisciplinary work. Each mentor will provide her with intensive artistic support, particularly focusing on compositional process and the legal and business aspects of working within the classical music and fine arts business.